There are quite a few pictures today. 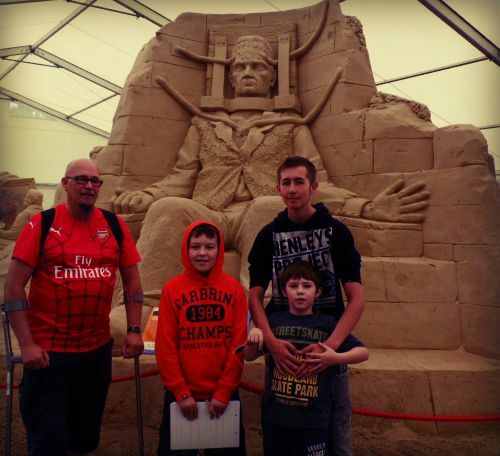 One of the days on my holiday to Weymouth we visited SandWorld, it really is a lovely afternoon, and very reasonably priced compared to other attractions. There were more to see, I have loads of pictures. 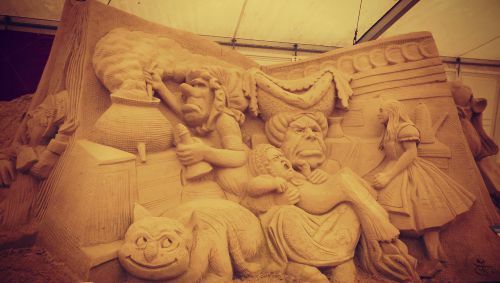 It was an hour well spent, with a nice little cafe, where you could do sand crafts included. I would highly recommend it, a pleasant hour out. 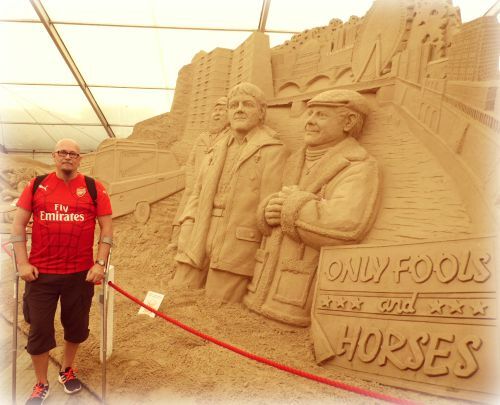 That is just amazing that they're all made out of Sand. So cleverly done and so intricate. I bet you didn't know where to look! Those sculptures are amazing. 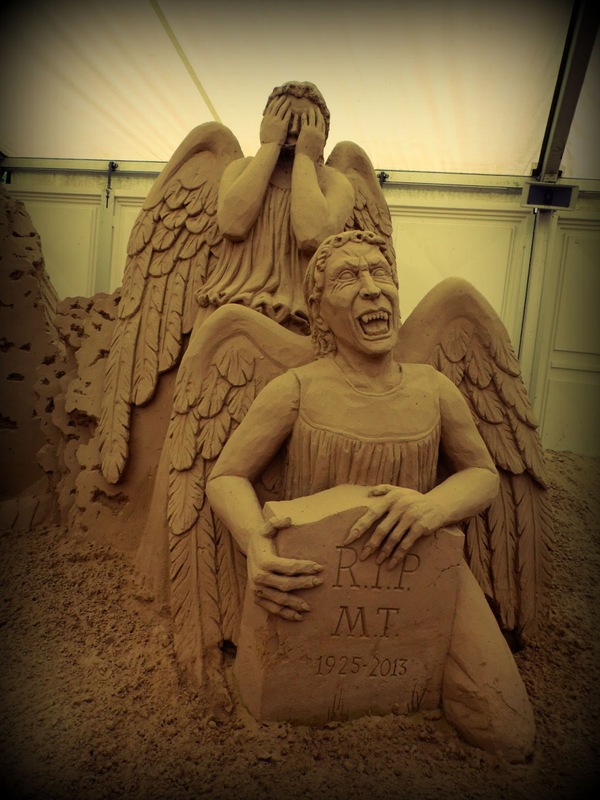 I love the Alice in Wonderland one and the two Doctor Who ones - those Weeping Angels are terrifying! Brilliant works of art, I'd have the urge to touch them! 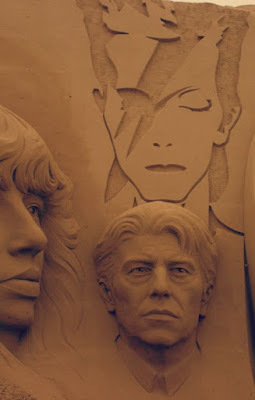 A fantastic collection of sculptures - I'm always so impressed by the amount of work that goes into them. These are amazing! How brilliant and so creative! 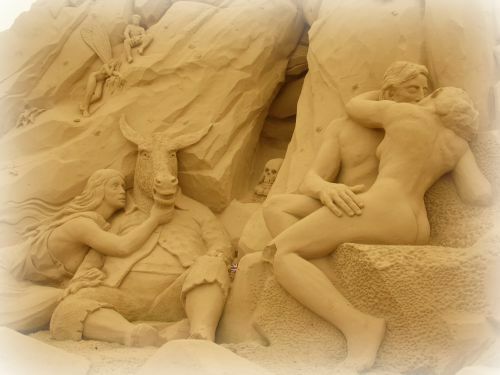 We saw loads of sculptures in sand in the South of France and I am always amazed at the amount of detail they manage to give their sculptures. Beautiful! Wow that's properly impressive. It must take them ages to do that. David Bowie looks so detailed! Those sculptures are so cool and detailed, looks like a great place to spend the day. Fantastic photos! 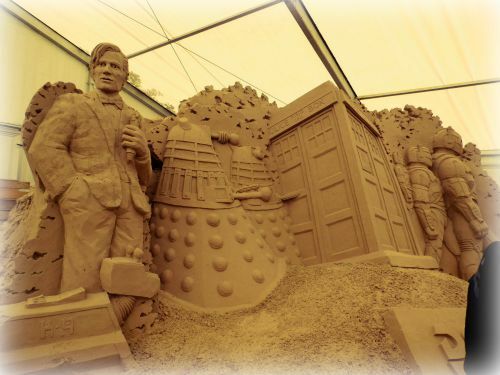 We went to the sand sculptures in Weston-super-Mare and these look just as good. Nice to see your family too. This is awesome, looks like a great day out! We were in Weymouth this summer, it was amazing, and we saw a couple of these on the beach, so amazing! I love Weymouth! 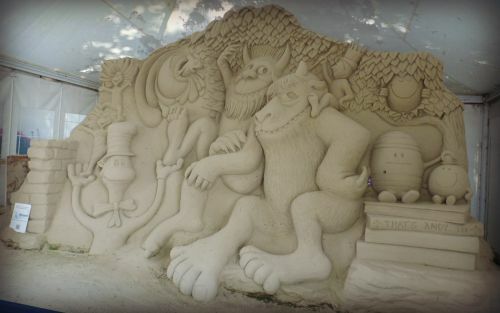 Love this, such great sand sculptures! Is there still a man on the seafront doing them as well? It's one of those things that looks easy until you try it isn't it! I hope you'll come visit http://image-in-ing.blogspot.com/2015/08/bennett-place-bit-of-history.html to link up. Visit us each week for Wordless Wednesday (on Tuesday)! 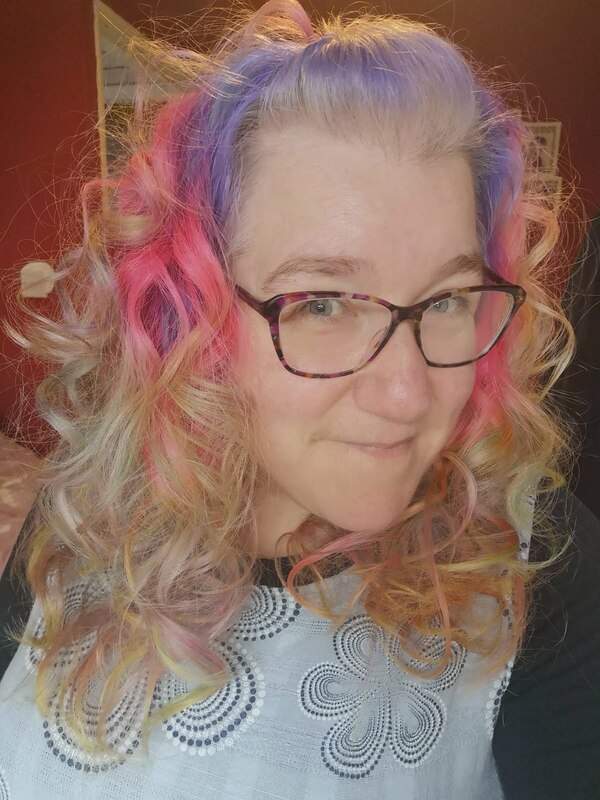 It's a fun linkup! Wow, the sculptures are amazing! Love the only fools and horses one, brilliant! incredible, puts our efforts totally to shame! Those are so clever aren't they? 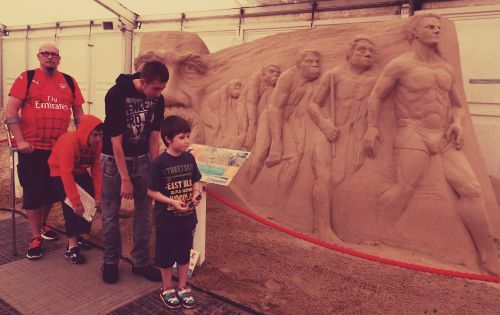 We saw a sand sculpture in San Sebastian, amazing! i love these! aren't they clever? i am always amazed when they sculpt these on the beach. just amazing. 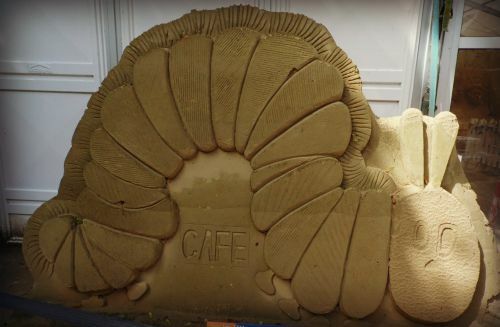 These are amazing....i have a hard time getting a sand castle to look like a castle!